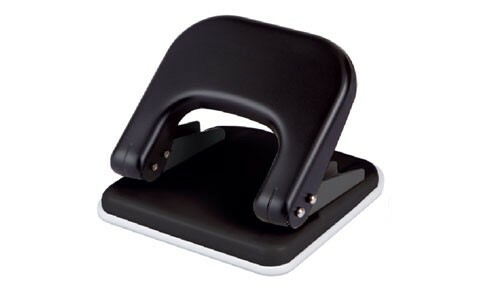 Medium size 2-Hole punch in metal constructions. Removable waste paper collection tray to avoid sppillage. Indicator for paper center position. Also for 70mm center distance( Model No.570).